After the initial success of Al Otaiba General Transport LLC, it was with great vision and admirable leadership of Mr. Hareb Mohammed Al Otaiba to expand the reach of operations and be the leading transport company throughout the country. Al Otaiba General Transport (AOGT) services offers a variety of transport solutions from Fleet Management, Staff and Guest Transfer, Bus Leasing Services. As one of the pioneer transport provider in the country, AOGT seeks the comfort and safety of their passengers by assuring all their service vehicles are equipped with modern facilities to meet and exceed customers’ expectations. AOGT houses an expanding fleet of 700 units meticulously maintained vehicles from leading brands, dispatched all over the country and rendering transport services to different business sectors. 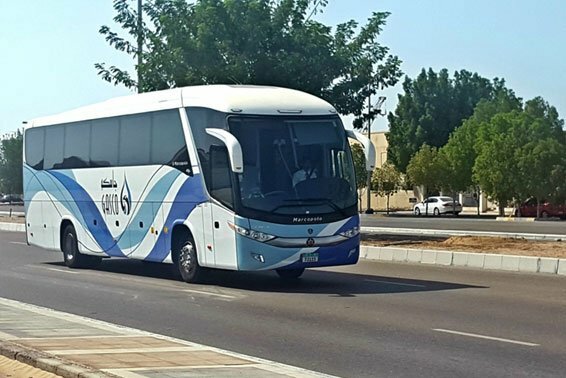 Among several leading brands were 34 units of Scania Buses which they contracted with Scania’s renowned partner in Abu Dhabi and Al Ain, Bin Brook Motors & Equipment LLC.